It’s probably fair to say that rugby isn’t the most popular of sports when it comes to online betting. 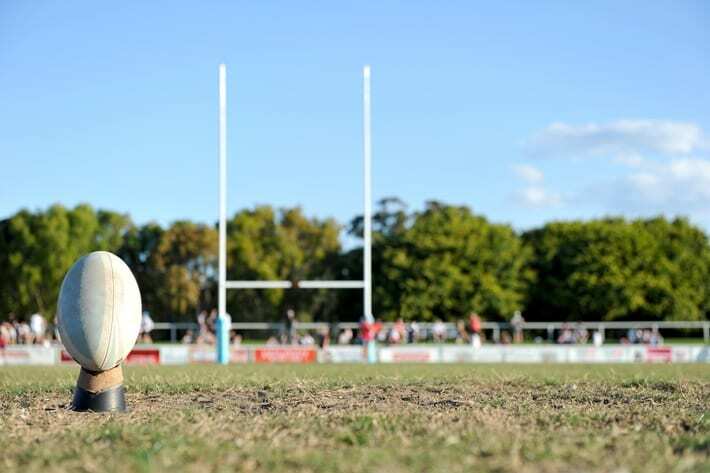 Trying to match the likes of football and tennis is going to be an almost impossible task for the gentleman’s game, but that doesn’t mean there aren’t still some extremely lucrative betting opportunities for rugby fans. One of the best things about betting on rugby is that there are two types; league and union. Both carry weight in their separate ways and although one isn’t necessarily ‘better’ than the other, it’s widely accepted that union has a larger following. For bookmakers, rugby brings a massive global market. They can tie in Aussie rules and leagues from the Southern Hemisphere as well as the hugely popular and competitive Northern Hemisphere build up, creating a sports betting category with plenty to interest punters. However, it’s international games where bookmakers will see the most interest from bettors. The likes of the Six Nations, Rugby World Cup, British Lions Tours, and the Tri-Nations are huge betting events in their own rights attracting a lot of attention. Domestically, bookies will be looking at the Aviva Premiership, The Heineken Cup, and the European Cup to draw in the masses. BetVictor come in at number 1 in our list, and this is for one reason alone; pricing. From the testing that we have done using an odds comparison program we found that BetVictor were consistently coming out as best priced for rugby betting. Now, what we will say is that they weren’t best priced on every single market, but out of the 20 or so markets that we looked at, they were never lower than 5th from around 30 different bookmakers. Whilst pricing is definitely the standout positive for BetVictor, the still cover the sports more than reasonably. Again, both union and league both have a healthy number of fixtures from games around the globe. You’re going to be looking at about 15-20 markets to bet on for each match, which isn’t too bad and if we are honest, should be plenty for most. At BetVictor you certainly aren’t going to get the number and range of games that some of the more global sites will offer, but if you a bettor that likes to keep their betting pretty simple, whilst almost guaranteeing industry best odds, BetVictor is definitely somewhere you should be checking out. Betting on rugby isn’t too taxing; choose your bookmaker, choose your market, and enter your stake. You can also spice things up somewhat by integrating live betting which requires a little more attention. The speed of rugby probably doesn’t compare to the likes of football or even darts in terms of how quickly and dynamically things can change, so you do have more time to think while betting live on rugby, but the adrenaline junkies among you can still get their fix. The biggest issue with rugby betting is finding bookmaker with comprehensive market coverage all year round, although you will never struggle when big tournaments are in play. As we mentioned earlier in the article, rugby betting is a market that has grown in popularity over the last few years. The coverage of the sport is far greater today than it ever has been before, mainly down to Sky Sports showing more games – and winning the World Cup back in 2003 probably didn’t hurt either. This has encouraged bookmakers to offer more and more markets over the years. What we are still noticing is a fairly large gap between bookmakers’ coverage, however, and whilst some seem to go all out to give rugby bettors what they want, the gulf between them and the rest is significant. These other bookies would do well to catch up, because they are missing out on a good sized slice of the pie. Like pretty much all sports, the most popular betting market for rugby is going to be the outright match result. This is simply picking the winning team or the draw as your selection. One area in rugby betting that is probably more popular than say football is betting on the margin of victory from game to game. As the games can often reach in excess of 20 points per team, markets such as winning margins, highest scoring half, winning margin by group of points, and team with the highest score per half are all massively popular. Rugby bettors tend to gravitate more towards individual betting markets than their spherical ball friends. Here you will be looking at team try scores, individual try scorers, scorecast, first scoring play, and the player with highest points in the game; these are all deemed to be enticing markets for rugby bettors. Match Result – The match result market allows you to select the outcome of the game with either a win or lose for either team or a draw. 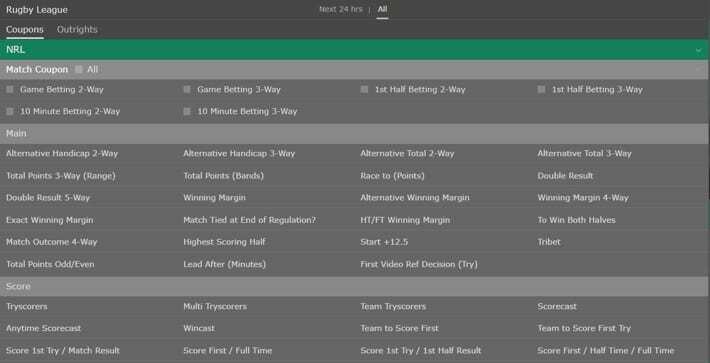 Handicap with Tie – Handicap betting is very popular with rugby bettors as allows you to place a handicap on one team and also the draw. Asian Handicap – A straightforward handicap is available on either team with the draw being taken out of the equation. Team to Score First – Select which team you think will score first. In the unlikely event that neither team scores, the bet will be pushed and the stake returned. First Scoring Play – You can select how the first points of the game are scored and by which team. These will include a try, penalty or drop goal. Winning Margin – A series of scoring brackets are set for each team when you select the winning margin of the result. As with most sports, the match result is always going to be the most popular market to bet on with rugby. The match result is simply a case of stating whether you want to back a home win, an away win, or a draw. With these types of markets, it’s always going to be advantageous to do some solid research before placing your bets. You will need to first look at the form of each team in general and then see who performs well away from home and who doesn’t. There’s no point taking great odds on a team to win away from home if they have failed to do so in their last 5 away matches, for example. With rugby, there will likely be a fairly even balance between the top teams especially, and it’s rare for one or even two teams to run away with a league. So even when you are backing the favourite in the game, these guys are still likely to yield a fair amount of value, making them generally good bets. Bear in mind that this relates to both league and union bets, although with rugby league you will tend to find a much larger gap between the best and worst teams than you would with rugby union. The concept of spread betting is predicting the total number of points scored by each team and then the accumulative total; the spread may be something along the lines of 40 points and under or 41 points and over. At the end of the game, you will add the scores together to get the spread. For these types of bets, you don’t really need to look at form so much but you do need to look at the number of points both teams have been scoring and conceding recently. If you have two teams that are great defensively but poor offensively, then you should be looking at the under bet. Conversely, if you find teams that are great offensively but poor defensively then you should be looking at the over bet. It’s also worth noting the starting line-ups for each team and highlighting if any key players are missing/present for each team as this can often have a huge impact on how a game might pan out – especially if the missing player is a regulr point socrer for example. A handicap bet in rugby is when you either add or subtract points from the final score to create a new handicapped score. It can happen in a couple of different ways. As an example; the bookmaker might state that one team will be given +9.5 points and the other given -9.5 points with that bet being an even money bet on each result. Alternatively, you can work your way to increase or decrease the handicap amount thus changing the odds as you do so. For example, the same even money bet at +9.5 points for one team could be increased to +15 points, making it an odds on favourite. Handicap betting is arguably the market that has the most amount of ‘feel’ involved in terms of what you think will be a competitive line set. First and foremost you need to decide if you think a game will be close or not. If you think it will and the handicap for one team seems large, then it’s likely going to be a good bet to take. It you think the handicap seems small then it might be best to miss this one. You are also able to bet on which team you think will have the first scoring play of the match. 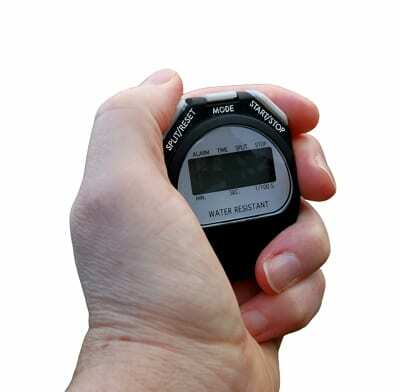 This can be at any time and can be via any method of play; so a try, a penalty, or a drop goal will all count. As an alternative to this market, you can outright select which will be the first scoring play of the match from the same possible results (try/drop goal/penalty), but not bother to make a prediction as to which team will manage it. 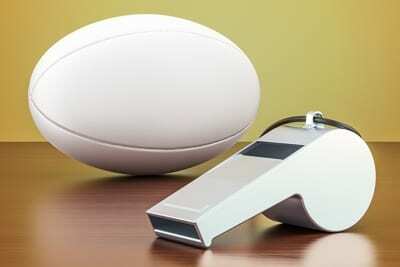 The first thing we will highlight before we get into betting rules for rugby is that the majority of rules will carry over into both union and league formats. The rules aren’t set in stone though and may vary between bookmakers. If you have a specific question on a topic that you don’t think we have covered or you simply want to know what one particular bookmaker has set out as the terms on a specific bet, then we recommend that you get in touch with them directly and get a definitive answer. It’s actually possible for a rugby match to go on much longer than the 80 minutes that is originally set out. Play cannot be stopped after the 80 minutes until the ball becomes dead, which means that the game continues as normal until this happens. Any match bets that have been placed will include this added time in both the first half and the second half. In fact, all rugby bets will adhere to this rule, unless a game has been stated as including extra time to decide a winner where necessary. If a game gets abandoned after it has started then all bets that have been settled before that decision is made will stand. All bets that have not been settled become void and your stake will be returned. If the game has been postponed prior to the start of the match then as long as it’s replayed within 7 days all bets will carry over into that re-arranged game. If a game is not replayed within that time period then your bet will be refunded. If a player fails to take the field then all first/last try scorer bets will be void for that player and bets will be returned. If a player takes the field after the first try has been scored then first try scorer bets will be void, but last will still remain. If a player takes the field before the first try then all bets will remain. If the first try scored is a penalty try then the market will shift to the second try to determine the result, discounting the penalty try. In some games, the announcement as to who won the man of the match doesn’t come. If no official announcement is made either after the game or on the official website then this market will become void and all bets returned. Rugby is a sport that is making steady progress in the betting industry. It’s probably fair to say that it doesn’t get the exposure of sports such as football or horse racing, but you will find that most of the top bookmakers offer up a comprehensive selection betting markets. What rugby does have going for it is the fact that it comes in two forms: rugby union and rugby league. Depending on where you are in the country will likely be a heavy influence as to which discipline you consider your favourite. Rugby Union is played UK wide, but the majority of fans will be based in the Southern half of the country. Northern England have a huge heritage in Rugby League and it’s here where a lot of their games are played and the big teams hail from, such as Yorkshire and Lancashire. The same is true around the world, with Australia having great support for both league and union, but in comparison, the majority of bettors in countries such as New Zealand will be more inclined to bet on union over league. What we will say is that both disciplines receive equal coverage from most bookmakers. It’s only when you get to the smaller bookmakers that you are likely to see more of a lean towards union than league, simply because union is played on a much wider scale, so offers more potential value to the book. Rugby Union is played with 15 players per team and makes up a huge percentage of the online betting sector for rugby. The games on offer are plentiful and if you are looking for a more in-depth range of markets then it’s going to union that you should consider. The union game format is often referred to as the more skillful of the two disciplines, with the difference in physicality between the forwards and the backs being substantial. The format allows for a more flowing match which in turn results in a more exciting experience for the viewer, especially the neutral viewer. The increased number of bookmakers that cover these types of matches means that, as a punter, you will have the advantage of a much wider range of markets to bet on. Not only that, but increased competition amongst bookmakers means that you will have the ability to shop around for the best offers and promotions from each one. There’s little argument that Rugby League doesn’t get the same sort of following from bettors as Rugby Union. It’s just not played in as many countries and the depth of each league can vary massively. The Southern hemisphere game is probably the biggest, with competitions such as the Super 14 being one of the richest and most competitive in the world. The Super League in the UK is enjoying a flourishing reputation, especially in the betting industry, with more matches being covered and more importantly an increase of markets to bet on within each match. The format of the game is generally thought to be a more brutal version of union, with the 13 man teams made up of players who are all similar in stature regardless of position. Players are generally thought of to be a little fitter on the whole and also that bit stronger, although there is no one size fits all rule on this. In terms of betting, it’s fair to say that Rugby League is still an emerging sport, especially when you compare it to union, but emerging is the key word there. It’s a sport that is well covered by most top bookmakers, so the betting opportunities are there at the minute, and they seem to be on the increase. The Six Nations is a union tournament that is played between 6 Northern hemisphere nations; England, Ireland, Scotland, Wales, France and Italy. It’s been running since 1883 when it was known as the Home Nations, then in 1910 they added France into the mix to make it the Five Nations. In 2000 Italy was added to the tournament, and it became the Six Nations we know today. The tournament is played annually and requires each team to play one another just once. Home and away matches alternate each year, so if England play Scotland at home in the 2018 tournament, they will play them away in 2019. Two points will be awarded for a win, with 1 point for a draw and obviously no points for a loss. If two or more teams are tied at the top at the end of the tournament then the team with the biggest points difference will be crowned the winner. There are a number of different trophies and awards to play for throughout each Six Nations tournament, with the most prestigious being that of the Grand Slam. The Grand Slam is awarded when one team wins all 5 of the matches on the way to winning the whole thing. Next up we have the Triple Crown, which is contested by England, Ireland, Scotland and Wales (the original home nations). This can only be won if one country beats all of the other three. If this doesn’t occur, then the trophy won’t be awarded that year. On top of that, we have the Calcutta Cup between England and Scotland, The Centenary Quiach between Scotland and Ireland, Giuseppe Garibaldi between France and Italy, and the Millennium trophy between England and Ireland. England is the most successful country playing in the event overall with 27 wins in total to that of Wales’ 26 wins. In terms of Six Nations wins however, England and France have 5, Wales have 4, and Ireland are on 3. England have also completed the most Grand Slam victories with 13 in total, to Wales’ 11. The World Cup is the absolute pinnacle of international rugby and takes place every four years. The time of year can often change, but it’s usually around the September/October mark, depending on where in the world it is held. The trophy on offer is famously called the Web Ellis Cup, and this has been awarded to the winning team since the tournament was introduced in 1987. Funnily enough, the World Cup is actually one of the youngest cup competitions in rugby, but there is little doubt that it’s the crown jewel everybody wants in their trophy cabinet, and players feel great pride just to represent their country in a World Cup, let alone win one. The tournament is played out in group stages, to begin with, and then moves onto a knockout stage. Each country is allocated a group via a draw, but some teams will be seeded meaning that they will be separated in that draw. There are four groups in total, each consisting of 5 teams. The top 2 teams from each group will progress to the knockout stage and work their way through to the final. There will also be a ‘Bronze final’ played between the two losers of the semi-finals to determine the 3rd place finisher. There are only 4 countries to ever have won the Rugby World Cup; New Zealand (3), Australia (2), South Africa (2) and England (1). Jonny Wilkinson of England has the record for the most points in an international career with 277 in total. Jason Leonard holds the record for the most caps representing England 22 times between 1991 and 2003, matched only by Richie McCaw of New Zealand. The Super League is the biggest rugby league club completion in Europe and has amassed a huge following since its introduction in 1996. Currently, there are 12 teams that make up the league, with 11 being from England and 1 being from France. It has been reported that the league is set to expand again, introducing two more teams, possibly from outside of the UK. The League takes place between February and July, making it a very short league considering that each team plays each other twice in the competition. Upon completion of the season, the top 8 teams will play off in the Super 8 stage, where essentially the competition turns from a league into knockout rounds. Teams work their way through before eventually reaching the Grand final, which determines the winners of the league that season, usually taking place at either Wembley Stadium, Twickenham, or Old Trafford. Leeds Rhinos are the most successful team in the competition winning on 7 separate occasions since 2004. They are closely followed by St Helens with 6 wins, Bradford Bulls with 4, and Wigan Warriors with 3. Interestingly, no other team other than these 4 have managed to win a Super League Grand final. Kevin Sinfield has made more appearances than any other player 521 in a career spanning 18 years, he is also the highest points scorer of all time with 3,204 – almost 700 more than second place Andrew Farrell.